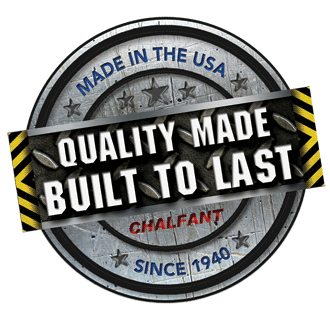 The first and most important aspect of successful dock seal and dock shelter installation is proper selection. Improper consideration of the selection criteria not only results in a poor installation, but can lead to damage and reduced efficiency. The following selection criteria must be considered. 1. 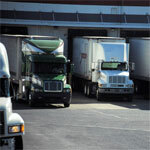 Configuration of trucks and trailers to be sealed. 3. 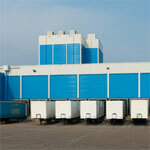 Size of the overhead door. 6. Dock enclosure mounting surface. 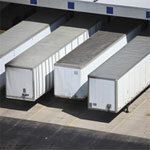 Configuration of trucks and trailers to be sealed, dimensions to be considered. 1. 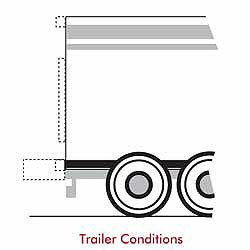 Normal width of trucks and trailers to be serviced. 2. 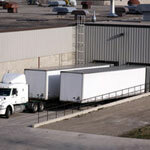 Normal height of trucks and trailers to be serviced. 3. 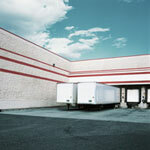 Truck and trailer obstructions, i.e. rear bumper projection, handles, gutter etc. 4. Normal truck and trailer bed heights. Is the dock approach grade level, declined, or incline? If required the dock enclosure can be tapered to ensure parallel compression along the entire face of the side pads, thereby creating an effective seal. 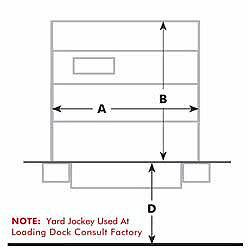 The size of the door opening determines the most suitable dock seal and dock shelter model to be provided. The difference in the height of the dock, from finished grade to the top of the dock floor. The difference from the face of the building wall to the front face of the dock bumper, is the total dock bumper projection. 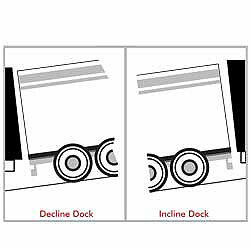 On decline/incline dock approach grades, remember the dock bumper must project sufficiently to prevent the potential for truck and trailer impact damage to the building wall and the dock foundation. 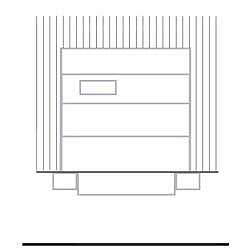 The strength and type of wall construction may determine the style of dock seal and/or dock shelter to be specified. 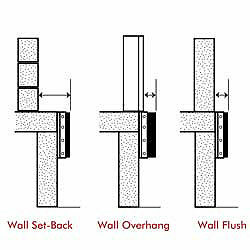 Also, consideration of wall obstructions such as, outlets, drain pipes, light fixtures, overhead canopies, etc. is essential.